Did you know that not all bats live in caves? Or that some don’t even sleep upside down? In fact, some bats live in tree hollows and sleep lying down – right here in the Wheatbelt. Amazing! 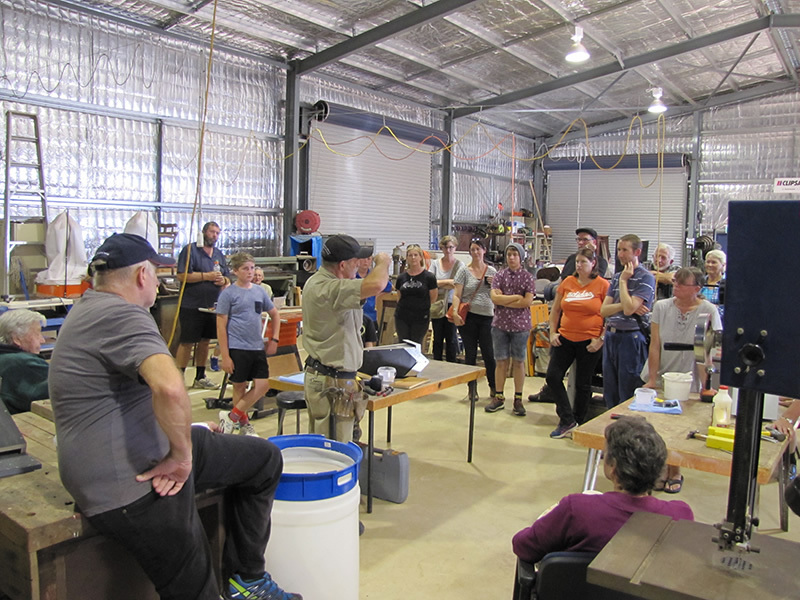 For those that like bats (and even those who don’t), Wheatbelt NRM’s Merredin Bat Night was a great chance to learn about bat conservation and ecology, and their importance to the environment and agriculture. Fifty participants took part in the workshop on making nest boxes for bats with Joe Tonga, one of Western Australia’s eminent bat experts. Completed nest boxes were then raffled off to six lucky participants at the end of the night. Large numbers of bats were seen and heard during the bat night walk around the Merredin Railway Dam where Joe helped participants spot and identify local bats. “Bats are amazing creatures but not many people realise they are here in the Wheatbelt, right under our noses”, according to Wheatbelt NRM’s Regional Landcare Facilitator Leigh Whisson. “They are delicate creatures who are directly impacted by the removal of trees”, Leigh said. “By learning more about bats and how to build homes for them, the community can join us in helping give them a better chance of survival in the future”, Leigh said. Thanks to the Merredin Men’s Shed who provided the evening’s wonderful venue and the Australian Government’s National Landcare Programme which funded the event.